Szechuan Lei Lei is dedicated to offering the most memorable dining experience for customers. Stepping into the restaurant, the modest decoration immediately eases every diner with homey and comfortable atmosphere. Despite a limited space of 2000 square feet, Szechuan Lei Lei is always kept sparkling clean and strict codes of sanitation are followed. 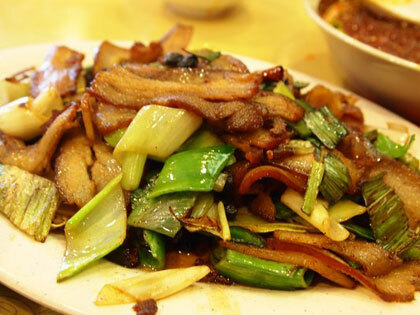 Like many other Chinese eateries, the restaurant offers the Americanized Chinese food to better suit the locals’ needs, while never fool yourself into regarding it as an ordinary establishment with the dull and mediocre offerings. Deeply rooted in the ingredients and aromas that give dishes their unique flavors, the menu features an interesting blend of American style Chinese food and other ethnic culinary delights, creating a distinctive experience that is both culturally inspired and comfortably Asian. Among the delectable creations, the General Tso’s Chicken and Broccoli Chicken win the loudest applause, for its vivid and vibrant flavor and texture. The chef’s master hand turns the ordinary dishes into extraordinary inventions. Furthermore, the staff of Szechuan Lei Lei truly take pride in customer service. The staff values each interaction they have with customers and always do what they can to enhance diners’ experiences. Its word-of-mouth recognition is a result of the delicious food, palatial décor, and warm and elegant atmosphere.